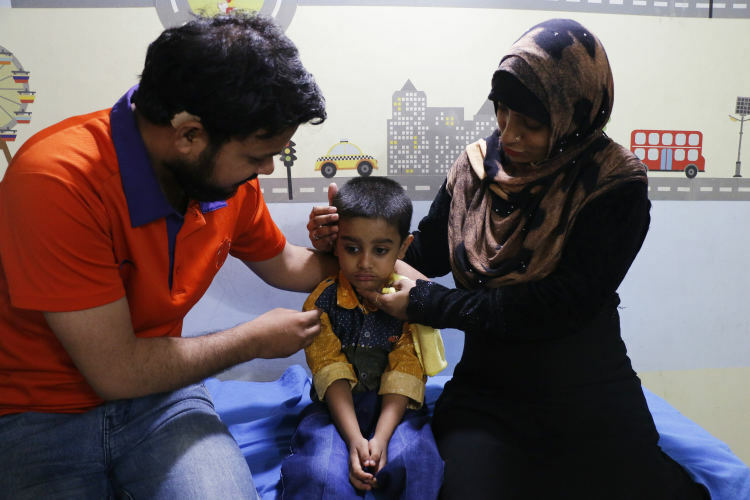 After feeling Zohair’s heart beat abnormally fast, Nabi and his wife, Afsa were in tears when they found out that their 4-year-old was suffering from a severe heart defect known as atrial septal defect, which is a hole in the upper half of the heart. Right now, the 4-year-old’s heart is at high risk of failure. Due to the hole, his body doesn’t receive enough oxygen causing him to breathe rapidly. 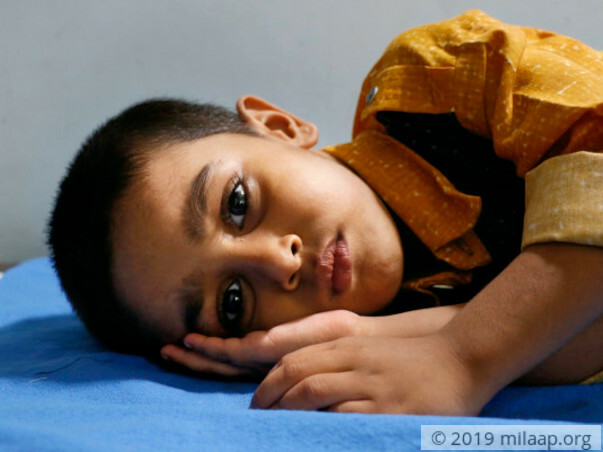 Having survived all these years, now, the 4-year-old cannot survive without a corrective heart surgery which he needs within a few weeks. The disease has taken a serious toll on Zohair’s mental health too. 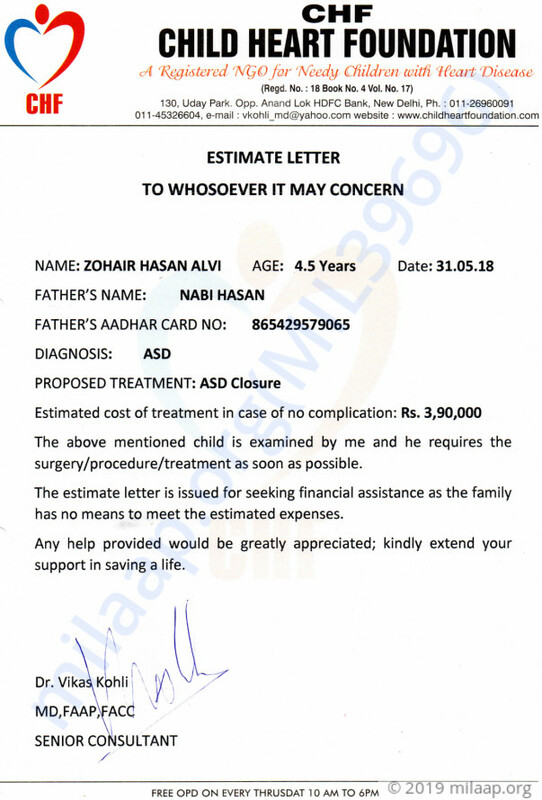 In a few weeks, Zohair's mother Afsa will give birth to the couple's second child, which will also be a massive financial burden for them. Nabi is so torn apart because he’s running out of time to save his son. 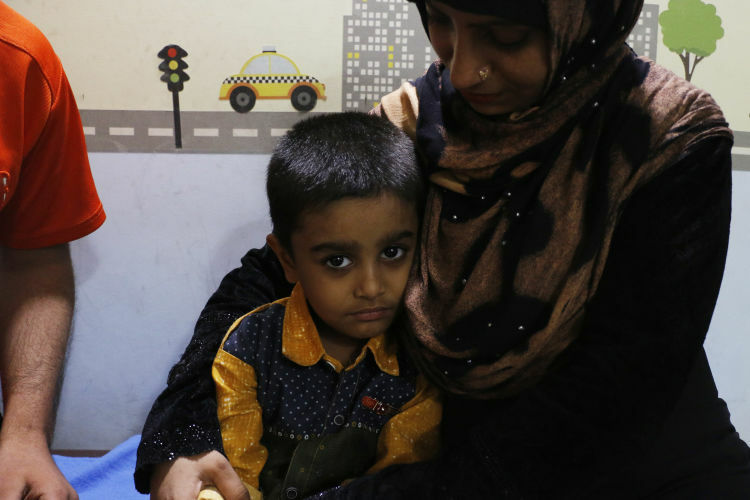 Zohair’s heart is dying slowly and only a corrective heart surgery can save him now. His father, Nabi, who works for a meagre salary in a private company, has absolutely nothing left and his family is as poor as him, if not worse. He’s racing against time to provide Rs. 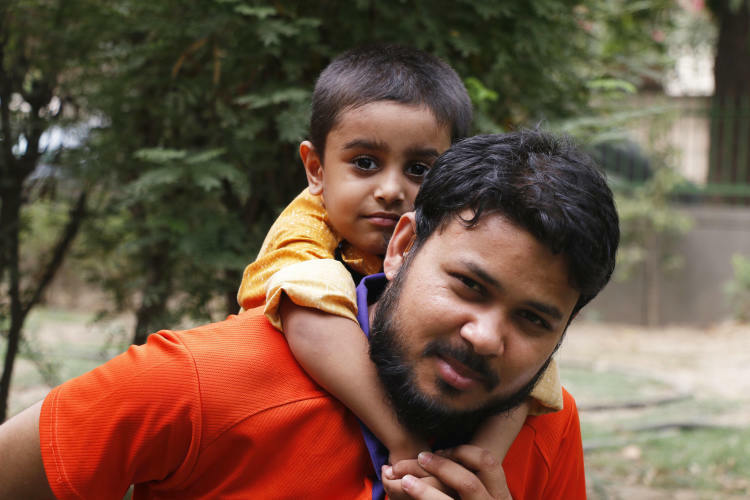 3.9 lakhs and he, simply, cannot do this without your help. Thank you for your support and love you have shown towards Zohair so far. This child is still waiting for his surgery and need financial help. Please share this post, so it can reach others who can help in saving his life.